It’s that time of year, the festive season. Luckily for us, we are sitting in the heart of summer, so we are spending our days basking in the sun on the beach, sipping on copious amounts of cocktails, cooling down with granidilla ice lollies and fulfilling our appetites with fresh sushi or lemon drenched garlic prawns. So why gingerbread? 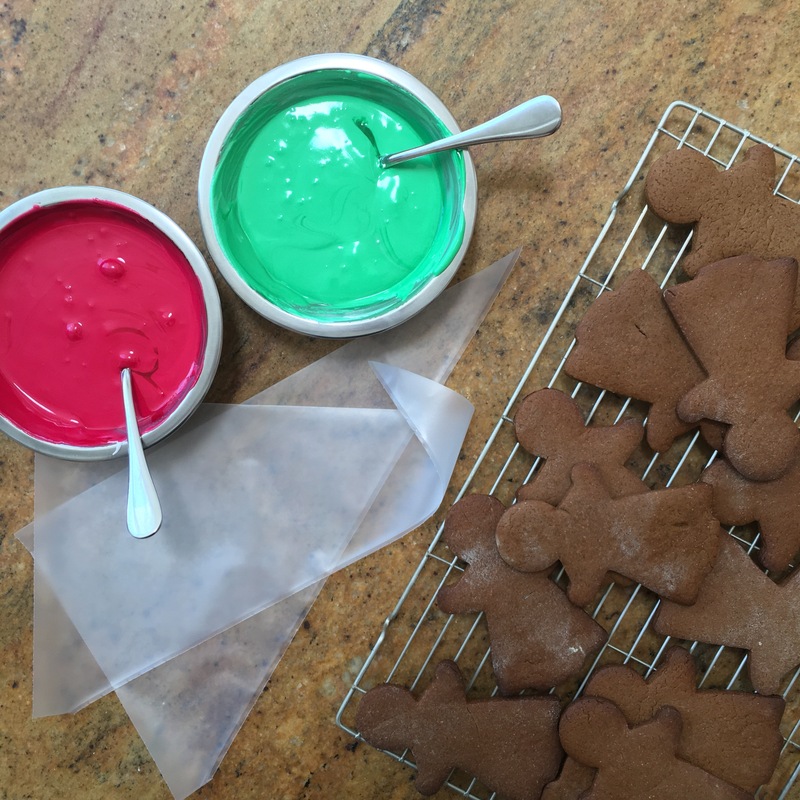 This recipe, to me, means that everyone can gather around the kitchen counter, cookie cutters in hand, and bake, then go slightly crazy by grabbing a piping bag and releasing their inner Picasso. 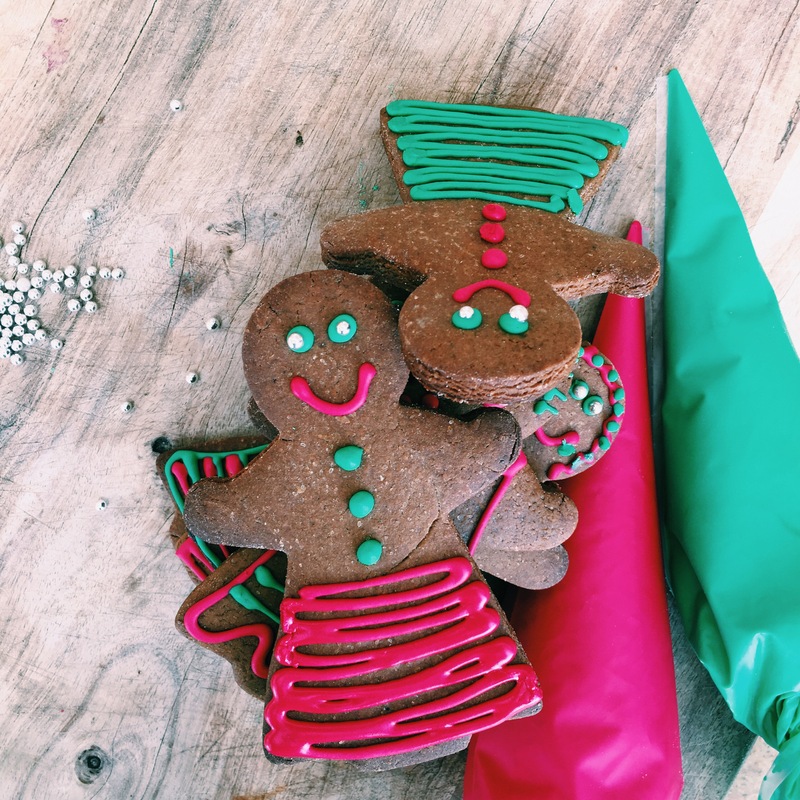 These can then be devoured during the evenings, or gifted to kids at a shelter! I think you should wake up everyday and be thankful for family and friends that you hold dear, but this time of year, we tend to get all emotional about being home, cooking feasts and spending time with the ones that we hardly see! Having fun with this recipe will give you that much needed family time, that you wouldn’t generally get to spend together, because…life! Fair warning, this recipe needs to refrigerate overnight, so make a batch and plan when you are going to have a baking session! They keep fresh for 1 week in an airtight container. 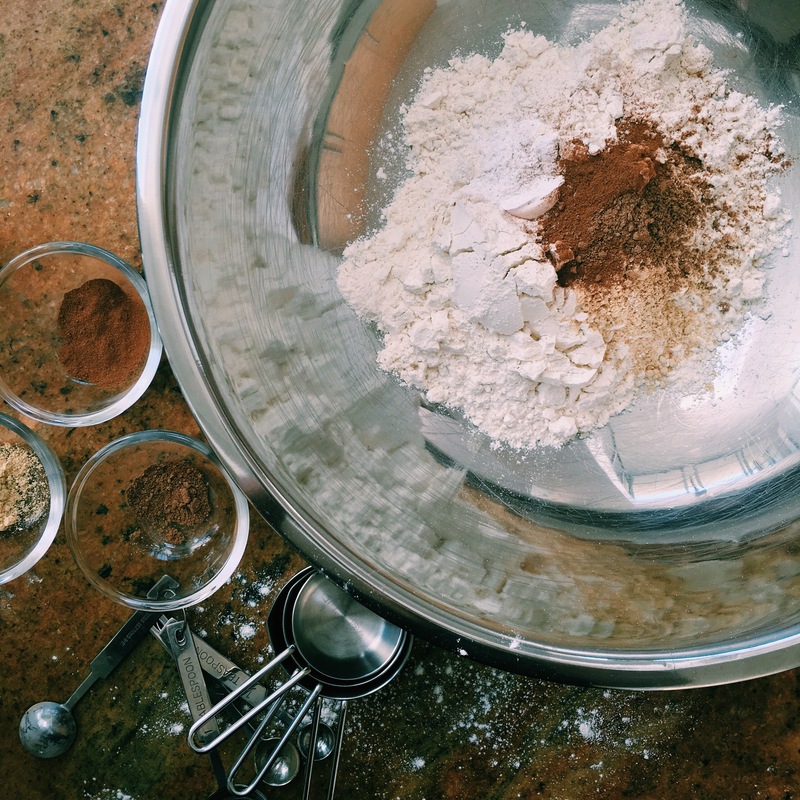 Mix the flour, ginger, cinnamon, nutmeg, salt and baking powder in a large bowl. In a mixer, add your butter and sugar to the bowl, with the paddle beater attachment, beat on medium, until creamy and fluffy! Add the egg, vanilla and golden syrup, mix to incorporate. 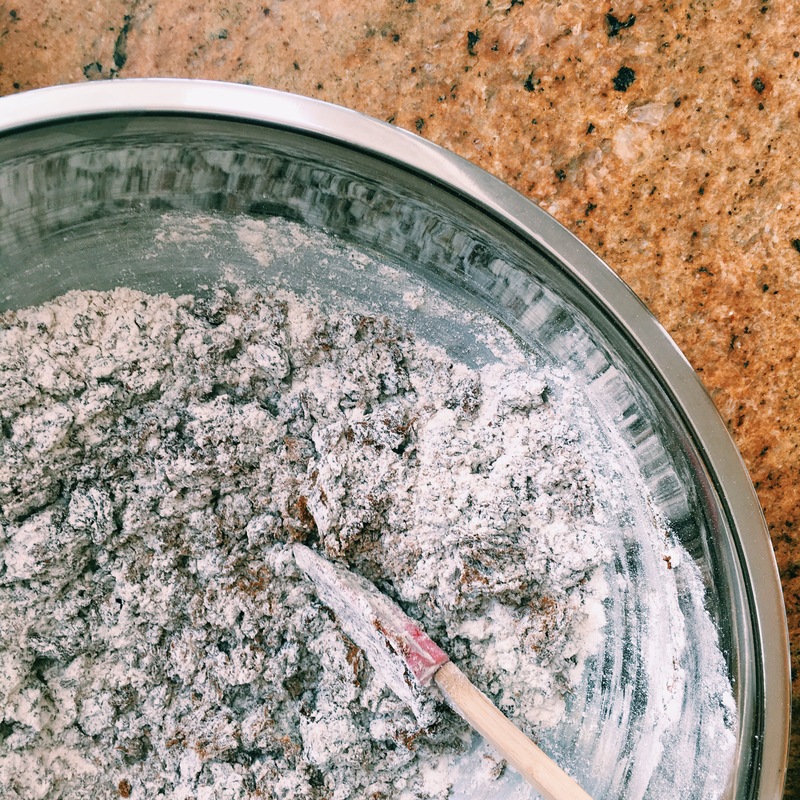 Starting on the lowest speed, gradually add the flour until well mixed. 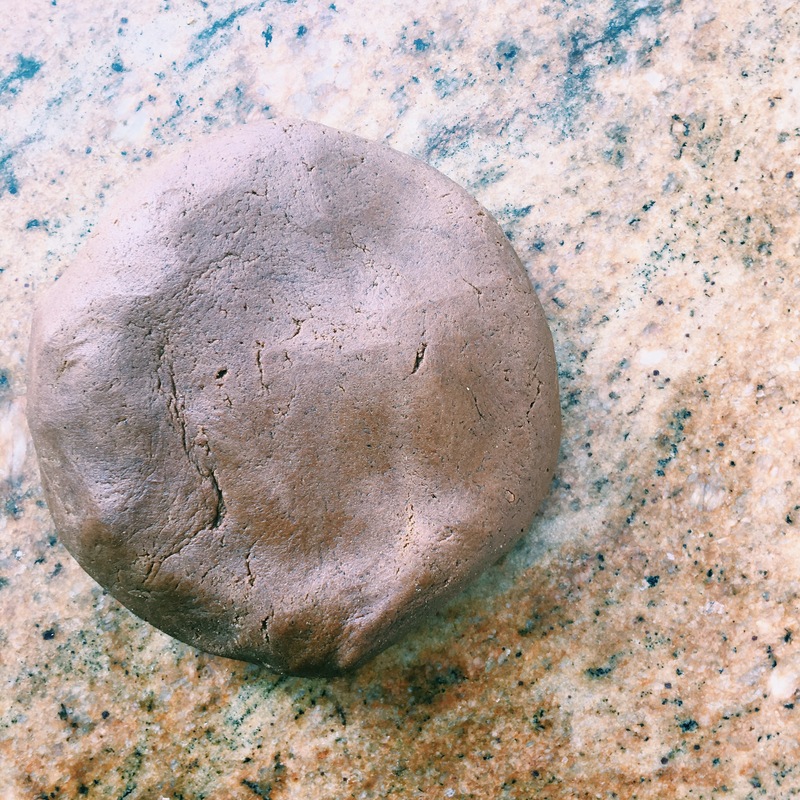 Take the dough out the bowl, and shape into a ball, flatten this slightly and wrap with plastic. Pop into the fridge and leave to rest overnight. Remove from the oven and leave to cool on the trays before transferring them to wire racks to cool completely. 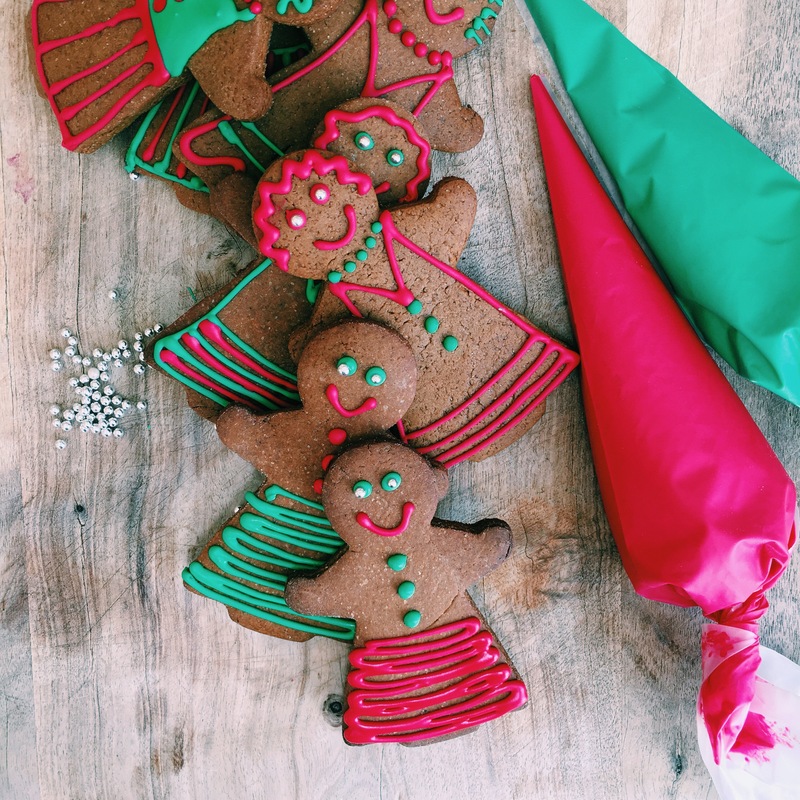 I used vanilla royal icing and added red and green food coloring, with the addition of edible silver balls to add some sparkle, but go wild and don’t be limited to how you can decorate your biscuits! Have the best festive season!